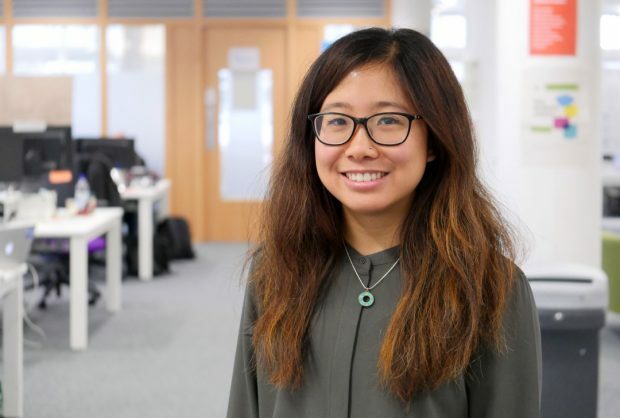 I'm Marie Cheung, a service designer at DWP Digital. One of our goals as service designers is to help bring the worlds of policy and service design closer together. Working together with the policy exploration team (part of the Strategy Directorate), we planned and piloted a policy design challenge specifically for policy makers. 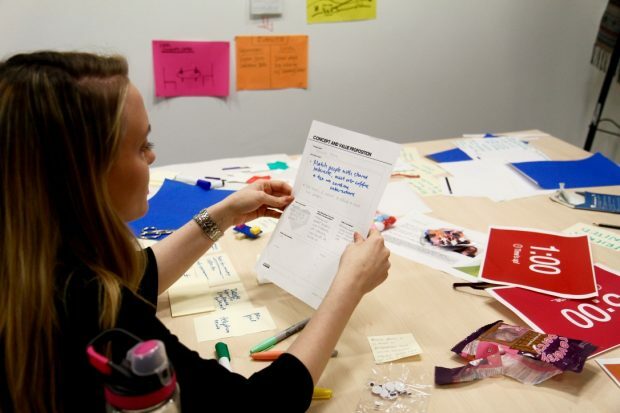 This event was inspired by BBC’s The Fix where participants would apply a design process to a come up with innovative new ideas to a big social policy problem. We wanted to test this pilot session with policymakers to see if it would be useful for them. We set the challenge and invited policy makers at DWP to come up with new ideas on tackling the issue of loneliness in an ageing society. Participants started off by discovering more about the subject area on the evidence wall, which provided insightful data and statistics and people’s stories to build their empathy. During this time, participants took notes and contributed to the evidence wall. They discussed what they didn’t know about loneliness before, things that were interesting to them and shared what they had learnt from reading other articles previously. Splitting the group into two teams, we then moved into the idea generation where teams would quickly come up with lots of ideas around the issue and their chosen personas. For example, how might we tackle loneliness for a person living alone in a rural community? The personas were used to demonstrate how loneliness is not strictly linked to age and to get the room to start creating an emotional link to the problem. With only 5 minutes for the pitch and feedback, each team used their prototype to show how their idea would work to a panel of judges. Both ideas were very interesting and tackled a slightly different problem within the big umbrella of loneliness. The session was not just about the prototypes or ideas we created, but about the journey everyone went through while learning and doing design. 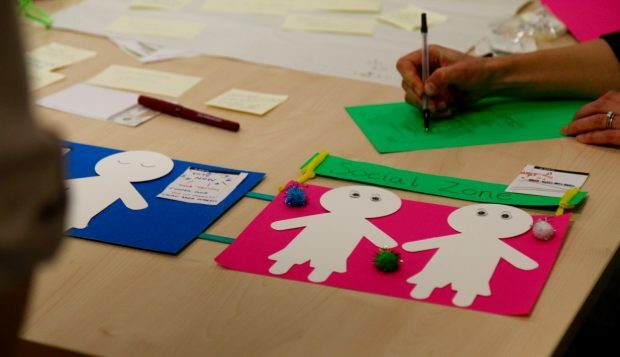 By creating a fun, fast and experimental learning environment with a proposed challenge, policy makers were able to learn how they could adopt a service design-led approach to produce meaningful insights about people’s lives when shaping policy ideas. We have been gathering feedback from policymakers who participated in the session as we will be making it bigger and better and doing more sessions throughout 2018. We are open to involving different teams, services and even departments to learn how service design can be applied to problem solving and policymaking.